In December of 2018 HSA released the “Report to members on the proposed terms of settlement” for the April 1, 2019 to March 31, 2022 tentative collective agreement. When this report was released, many Respiratory Therapists throughout BC were surprised and frustrated and unrecognized. Respiratory Therapists rallied and shared their stories thru social media platforms, especially Facebook. The most commonly shared ideas revolved around filing a Section 12 complaint with the BC Labour Relations Board, filing a grievance citing Article 11 of the Health Sciences Professional Bargaining Association (HSPBA) collective agreement, or potentially changing unions. To help sort thru our members’ current and future options the British Columbia Society of Respiratory Therapists (BCSRT) in conjunction with the Respiratory Therapist Leaders of British Columbia (RTLBC) asked the membership for the approval to retain a lawyer who specializes in labour and employment issues. Your passion for fair representation has already attracted many readers to our website and Facebook posts. In addition to Respiratory Therapists, others who are interested have included other health care professionals, Health Sciences Association staff, other union leaders, hospital administrators, human resource staff, Ministry of Health representatives, and various media outlets. Over the last few months we have accumulated a lot of information. Some information we obtained cannot be openly shared, but we hope to provide you with a general overview. Below is a compilation of information we have gathered from multiple sources plus some recommendations from the BCSRT, and RTLBC chair. • We felt very fortunate to have obtained the services and guidance from the lawyer we retained. Our lawyer advised us about members’ rights and options under the Labour Relations Code, including Section 12, and about the unique features of collective bargaining in the health care sector. Our lawyer also assisted us in understanding the existing wage classification structure and potential options available under the HSPBA collective agreement. • We had one meeting with Ms. Avery; she unfortunately was unable to attend the second meeting. During our meeting with Ms. Avery she reviewed how the current classification system was built, reasons for reclassification of other professions, discussion around the Schedule A/B two-tier wage split in 2001, and the limited options for Respiratory Therapists to improve their salaries in the short term. • Mr. Noonan stepped in for Ms. Avery when she was unable to meet with us. We have had a number of productive discussions with Mr. Noonan, who was well versed in the history of Respiratory Therapists moving over to HSA from HEU and the original setting of Respiratory Therapists’ Grid level in 1990. • We were encouraged by our discussions with Mr. Noonan regarding potential options for Respiratory Therapists and look forward to further constructive dialogue between HSA and our members on this important issue. • When Respiratory Therapists moved to HSA from HEU thirty years ago, one of the issues that had to be decided was where the Respiratory Therapists would fit within the HSPBA salary grid. • The Health Employers Association of BC (HEABC) set Respiratory Therapists’ entry level wages at Grid 6 because we were a diploma program. HSA argued that Respiratory Therapists’ should be paid at a higher level (Grid 8), in part due to our direct patient care responsibilities. This issue was brought to arbitration in 1990, and the arbitrator ultimately placed the Respiratory Therapists at Grid 7. • Article 11 of the HSPBA collective agreement provides a mechanism for resolving disputes regarding placement of positions on the wage schedule. Article 11 primarily covers new and reclassified positions, but can be invoked when an employee’s present job does not properly reflect their classification, grade, or salary. • A review of arbitration decisions dealing with classification disputes under Article 11 indicates that required education for the position is a key factor in determining the appropriate placement on the wage schedule, with duties and responsibilities for the position also being considered. Internal comparisons amongst other HSPBA professions can also play a significant role. • Neither the BCSRT nor RTLBC would be involved in filing or leading a grievance under Article 11 the HSPBA collective agreement. Grievances would be filed by individual union members or HSA and would be advanced by HSA. • We recommend that any members who are considering filing a grievance discuss the issue directly with HSA prior to doing so. • We recommend against filing a Section 12 complaint at this time. • Proving that a union has acted in a manner that is “arbitrary, discriminatory or in bad faith” is not an easy task and requires more than just an unequal distribution of benefits under a collective agreement, as collective bargaining invariably involves selecting between conflicting interests of different groups within the bargaining unit. Unions have wide latitude in how they conduct collective bargaining, and the BCLRB is very reluctant to intervene unless there is clear evidence of conduct that is blatantly arbitrary, discriminatory or in bad faith. • Further, a successful complaint would not result in the BCLRB rewriting the HSPBA collective agreement to increase salaries, and there is no guarantee that Respiratory Therapists would ultimately obtain an increase in salaries. • Given the recent productive discussions with Mr. Noonan and others at HSA, we encourage our members to continue to engage with HSA regarding their concerns about Respiratory Therapists’ placement on the wage scale. • Members may also look for opportunities to serve in elected positions within the HSA as another means of influencing HSA priorities. 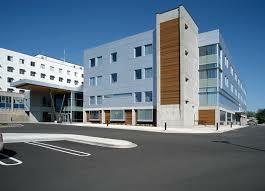 • Some of you have asked if the new regulatory college will impact our salaries or grid levels. The mere formation of a regulatory college is unlikely to have an impact. The college’s main focus will be protection of the public by clarifying our scope and setting education and competency requirements. • If the college were to impose further education and competency requirements for particular aspects of our scope of practice, this could potentially support changes to where a particular position may be placed on the HSPBA wage grid. • In the near future we would like to see the development of a Political Action Committee (PAC) under the BCSRT. 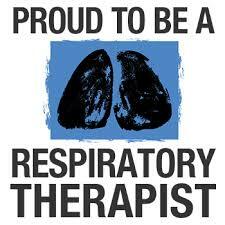 This group would focus on many issues, including promoting the Respiratory Therapy profession. Fair compensation would be one issue, but truly reaching out educating healthcare leaders and politicians more about what we do would be the overarching goal. • The idea of implementing a PAC has been briefly discussed with the RTLBC group, more information will be coming out soon. Vern Fraser room – 1st floor UHNBC. By now, most of you will be aware of the 82% “yes” vote of approval to ratify the HSA/HEABC bargaining proposal. Although this was a disappointing (though expected) outcome, we continue to press forward in our pursuit of a more representative wage scale for the RT’s of BC. We had a chance today to touch base with the lawyer in regards to next steps. We are hoping to arrange a discussion with Val Avery and the union over the next few weeks with the guidance of our lawyer. We are looking for clarification on several points around classification and wage scales, including the option of an Article 11 grievance. In addition, although we have been counselled that a Section 12 complaint with the Labour Relations Board may be difficult to win, some information has recently come to light that has made us reconsider the option of pursing a Section 12.